Tiny houses and a huge yard sale are the order of the day, for me. Spring cleaning is just around the corner. Even though the groundhog saw his shadow, and even if we are destined to experience six more weeks of inclement weather, spring is still close at hand. 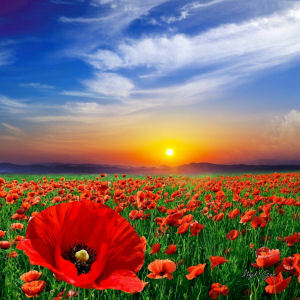 For me, Spring this year represents freedom – after a few adjustments, that is. The time has come to downsize. Companies started it and we baby boomers are going to finish it. 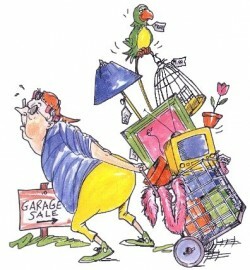 Like many other baby boomers, I have collected, saved, bought, expanded and hoarded many things over the years. I have gone from a small apartment to a larger one, to a small house and then to a larger one of those, too. Our home sizes kept increasing as we grew our families or made more money or changed our social status. We heard “bigger is better.” That was then, this is now. Today I had an epiphany: I do not have to keep all of this stuff I have accumulated, nor do I have to live in a large house all by myself. If I downsize, I will not have to dust, spend one of my off days cleaning all day long or have to buy a storage building or rent a storage shed, or buy one more container to put stuff in. Common sense should dictate that if we have to keep buying things to either shelve things or put them in containers because we have no place to put them, we surely must not need them. Acknowledging this revelation, I am just waiting for consistent good weather to have that huge, de-cluttering yard sale and free myself of the heaviness of worrying about what to do with all this stuff I have accumulated. I have kept things over the years that someone gave me that did not fit in my lifestyle because I did not want to hurt their feelings. I have kept things I thought I might need later on, but never have. I have kept things because they were supposedly valuable, even though I didn’t love them. I have kept things because they had sentimental value like cards and letters and even magazines with one story in it that I might read again later. And books, oh, even though I have a kindle, I have been unable to let go of any of my hardcover books. Do I need all of this stuff? The answer, of course, is no. Need and want are two different things. With children gone from home, with career and volunteer activities taking a huge part of my personal time, and a bucket list to complete before I leave this earth plane, letting go of things feels right for me. I also realize that many times, with so much stuff, we forget where we put something and often even buy another of the same thing, only to locate it later, and then we have two. When you get rid of things you no longer need or love, you no longer have to wonder where you hid something from yourself. And, if you get a smaller place to live, you don’t have enough room to keep things you do not need or want. At this stage of my life, I truly believe less is more. More time to do the things I want to do rather than spending that time cleaning or organizing. Come Spring time, the de-cluttering begins. After my super large yard sale, I will be searching on St. Google for the newest craze for people who want to live life simply, http://www.tinyhouselistings.com. These tiny homes are even on Facebook. With less stuff to live with, a tiny house might be just for me and my new less-cluttered lifestyle. So where will you see me this summer? Since I won’t be spending all of my time cleaning or searching for things I cannot find, I will be on the golf course, out with my telescope searching the night skies for planets, canoeing, on a picnic by the lake, hiking or anything but cleaning. Live only with what you love and you will feel that love every day. Unless someone has a serious psychological issue, no one wakes up planning to have a bad day or to not do good for others. Most of us do not even get up and consciously think about the kind of day we are going to have. We usually wake up, go through our morning routine and start thinking about what lies ahead for the day. If you happen to get up extra early so you can read something positive, exercise or sit and write out your to do list, and at least have a light breakfast, you are more likely to have a good day. If, on the other hand, you happen to be one who hits the snooze button a few times, jumps up for a quick shower, grabs a cup of Joe for breakfast and head out the door in a hurry… your chances of having a good day have diminished. How you start each day determines the outcome of your day. It has been proven that the happiest, most successful and most productive people have a daily plan. Preparation makes you feel confident and ready for the day – it gives you the edge. You feel less hurried throughout the day and you are more pleasant and helpful to others. It is said you cannot teach an old dog new tricks, but just a slight adjustment to your daily schedule can truly change your life and disprove that saying. If you will just go to bed a half hour earlier and get up a half hour earlier, have your clothes already laid out, have a light breakfast and some positive message on your breakfast table or posted on your bathroom mirror, your day will actually change for the better. I don’t get up and exercise in the morning, but I do get up early (surprise to many – I just do not want to talk that early). I know what I am going to wear, I have certain chores I do each day since I have animals, I eat something light, check my email, write down nine things in my gratitude journal and then turn on the phone and computer. I have learned that if I do not turn on the phone or computer until I am ready for work, it allows me to focus on getting done what I need to get done and not forget anything. I have noticed that if I break my morning routine, I invariably forget something which also lends to getting behind for the day. Before I go to bed, I have already planned my next day, written it in my planner and put it on my Google calendar. (I am one of those baby boomers that grew up with a paper calendar so I use both methods to ensure I have my information available so I have a backup – and a good day). When we are not in a hurry and can truly focus, or be in the now, as is the trend of grounded people today, we are more apt to get the things on our list done and even lend a hand to others in need. I BELIEVE starting the day off in a positive way has a domino effect. If you doubt it, and would like to have the best days possible, try it. My Post It Note for your mirror requires a bigger post it note this time because it a positive poem cementing good things in your mind for your day.